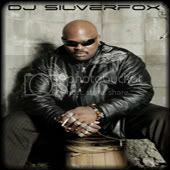 Help your self to this excellent Dj mix from Dj SilverFox, Electro house at its best. Hit the play button for instant streaming, or download a copy for yourself, Click this link to subscribe to the BeatForce podcast via Itunes. This entry was posted on Wednesday, April 1st, 2009 at 16:52	and is filed under Dj Mixes, SilverFox. You can follow any responses to this entry through the RSS 2.0 feed. You can leave a response, or trackback from your own site.